The U.S. Census Bureau announced the new jurisdictions and languages covered under the Language Assistance Provisions (Section 203) of the federal Voting Rights Act. Bilingual ballots, translated voter registration forms, and interpreters must now be provided to Asian American voters in 11 states, covering 22 cities/counties, in six Asian languages, pursuant to the decennial census. The Bureau also listed jurisdictions for Latinos and Native Americans. For the first time South Asian languages were covered, in four jurisdictions, as well as Korean in New Jersey and Chinese in Massachusetts. The determinations also found a significant expansion in the number of jurisdictions required to provide Chinese, Filipino, and Vietnamese assistance. Chinese and Filipino ballots must be provided in four more districts each, Indian and Vietnamese ballots must be provided in three more districts each, Korean ballots must be provided in one more district, and Bangladeshi will be required for the first time in Hamtramck city in Michigan. “We’re ecstatic that more Asian Americans will be able to exercise their right to vote — and that the voting process will accommodate an increasingly diverse electorate,” said Glenn D. Magpantay, Director of the Democracy Program at the Asian American Legal Defense and Education Fund (AALDEF). AALDEF successfully urged Congress to expand Section 203’s legal test in 1992, and has worked on local compliance and enforcement ever since. AALDEF has long monitored elections and found that Asian American voters in the newly-named jurisdictions often faced barriers to voting. 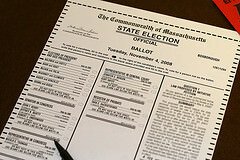 Under the Voting Rights Act, when the census finds that 5% or more than 10,000 voting-age citizens speak the same language, have limited English proficiency, and (as a group) have a higher illiteracy rate than the national rate, all voting materials must be translated and interpreters must be provided at poll sites. Although determinations used to be updated only once every ten years, in 2006 AALDEF pushed for an amendment when Congress reauthorized the Voting Rights Act to test for coverage every five years, given the fast changing demographics of the U.S. population. AALDEF will now focus on making sure that local election officials fully comply with federal law. In the past, jurisdictions mistranslated ballots by listing Democrats as Republicans, and vice versa, or provided Korean interpreters to Chinese-speaking voters. Vigorous enforcement of Section 203 will be needed. Below are the changes since the 2010 Census, with new jurisdictions and languages identified in bold. Strike outs are jurisdictions that fell out of coverage.